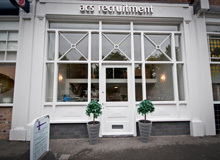 We are recruiting for a Cavity Wall Insulation Fee Earner for a firm in Cheshire. To deal with claims with the negligent installation of Cavity Wall Insulation from inception through to settlement and/or trial. To represent clients who have had their property damaged by improper installation of Cavity Wall Insulation in order to obtain compensation effectively on their behalf. Ability to run issued, multi-track matters with minimal supervision. Liaising with Insurance Companies and Defendant Solicitors verbally and in writing. To manage all stages of the litigation process from initial instructions to full litigation at court. Review files fully and identify next steps and put this in action. Sending out relevant letters to clients, insurance companies, witnesses, etc.